Read some wonderful and enlightening books this year. From the first female executive vice president of Walmart Inc., Gracious and Strong reveals what it means to rise above the most uncertain leadership challenges and make essential hard-right decisions. Have you ever faced an unexpected left turn? Perhaps it’s an unexpected career shift, a personal or family illness, or a divorce or toxic people in your life. Whatever it is, we've all faced it. These types of challenges can be completely life-changing and put you in survival mode, causing you to question the core of who you really are. When challenges strike, often it's our response to the event that determines our outcome. Learn how to make hard-right decisions that lead to life-changing opportunities. 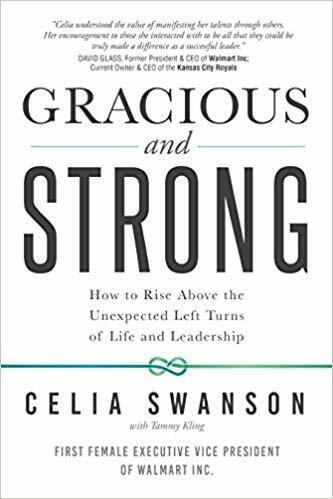 Gracious and Strong will help you navigate the obstacles you'll face, while becoming an authentic leader who helps others navigate their lives too. There are many ways to be a leader, but the one who inspires others and helps them achieve their full potential is a leader who is gracious and strong. This book will change how you see leadership and give you tools that you need to step out in your leadership role and pursue positive change within yourself, your family, and your team.